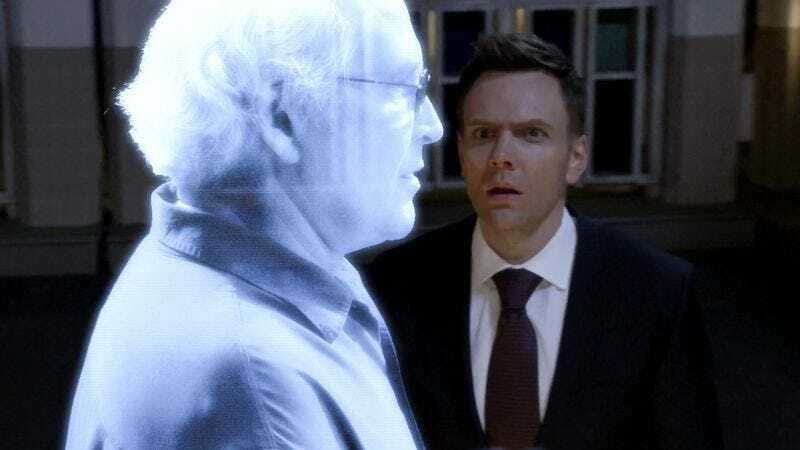 Completing a tragic transformation that began the day a Community set scuffle devolved into kicks, scrapes, and, fatefully, bites, Joel McHale is ready to finally give in to destiny and become Chevy Chase. The former Soup host will be playing the role of his old NBC co-star for A Futile And Stupid Gesture, Netflix’s biopic about the founding of National Lampoon. Chase, of course, was instrumental in escalating the beloved humor magazine—co-founded in 1970 by Doug Kenney, who’ll be played by Will Forte in the movie—from cult success into a mainstream name with his starring role in the brand’s various Vacation films. Wet Hot American Summer’s David Wain is directing the project, which will presumably see McHale portray the Caddyshack star with all the care and compassion that you’d expect of someone who spent five years of his life trapped on a soundstage with Chevy Chase, and lived to tell the tale.